Were you aware that Nutella hails from Italy? Like most, I am an avid fan of this chocolaty hazelnut spread. However, I wanted to make a healthier version to enjoy on my porridge or add to a hot protein chocolate drink. This recipe contains less sugar and no added oil but still not a golden ticket to devour the whole jar; even though I could! Hazelnuts are one of the easier nuts to make butter with in comparison to almonds, which time wise take much longer. 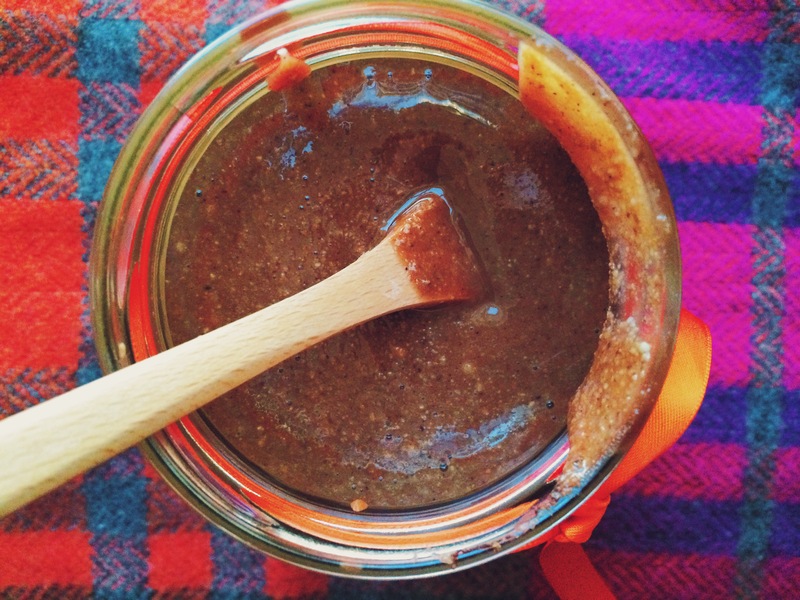 World Nutella Day takes place on the 5th February, so what better way to indulge your nutella cravings than with a healthier version of this rich chocolate hazelnut spread. Roast: Preheat oven 150°C, line a flat baking tray with greaseproof paper. Bake for 25 minutes; check them regularly to ensure they are not burning. Cool: Remove from oven, allow to cool. Gently rub the hazelnuts to remove skin. Some skin will not come off but remove as much as possible. Cream: Pop in food processor and blitz until creamy and runny, this can take between 5-10 minutes depending on the food processor you are using. Once creamy add cacao powder, rice malt syrup and pinch of salt. Blitz to combine. Pour into an air tight container – I use a glass jar. Saving glass jars is a handy way to build up a collection for homemade nut butters.